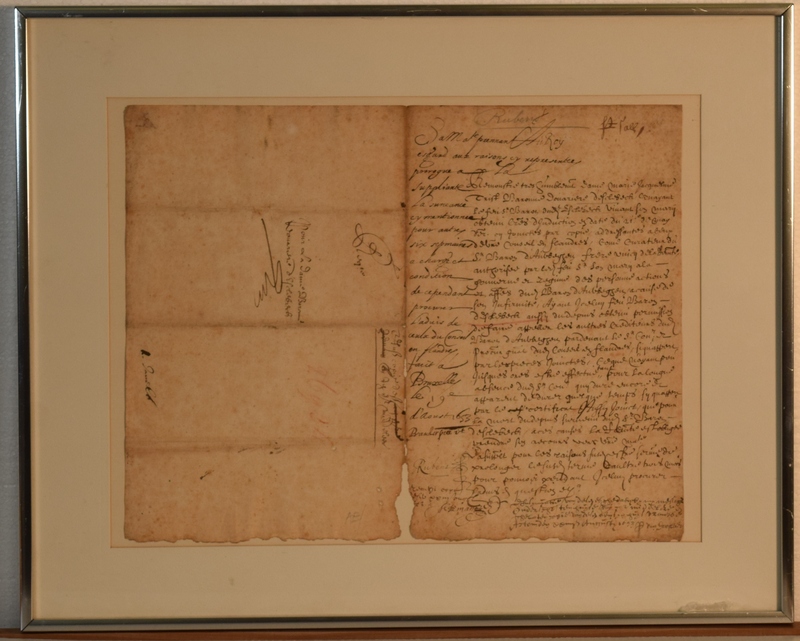 Letter signed by Albert Rubens, son of Flemish painter Peter Paul Rubens and Secretary of State in Brussels for King Philip IV of Spain. 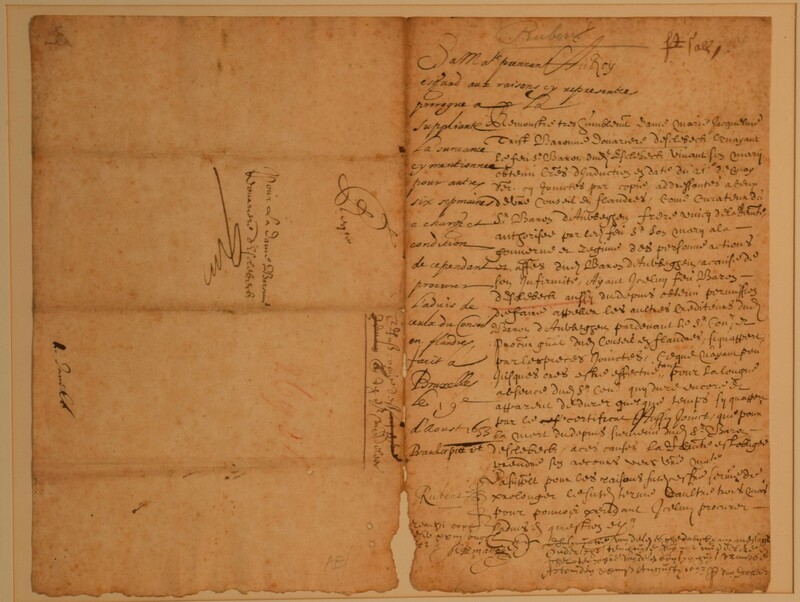 The letter is by Albert Rubens in execution of his duties as Secretary of State, August 19th, 1653. Sold by Theodore Tausky, autograph collector, Paris. 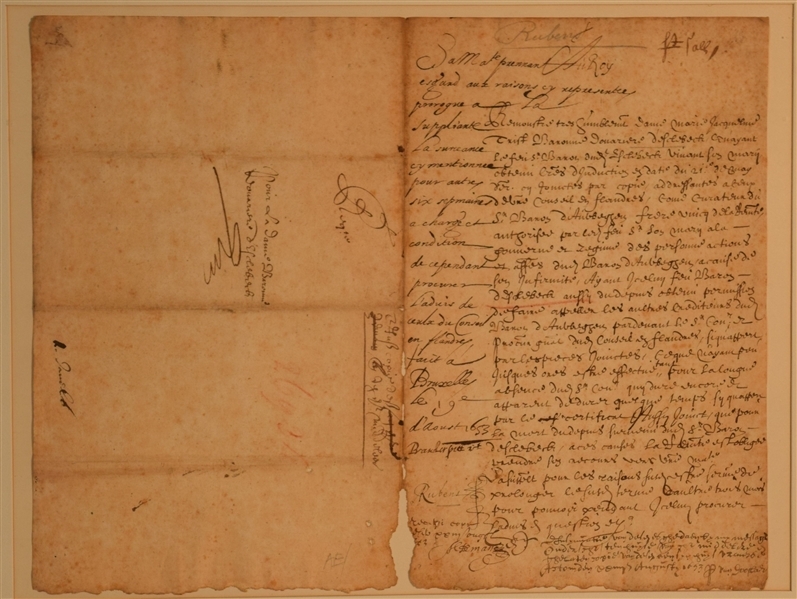 Framed with a transcription of the letter in French under glass on the back. Document: 11 1/4" x 14 1/2", Frame: 16 1/4" x 20 1/4".